The Egyptian has a suspected dislocated shoulder. 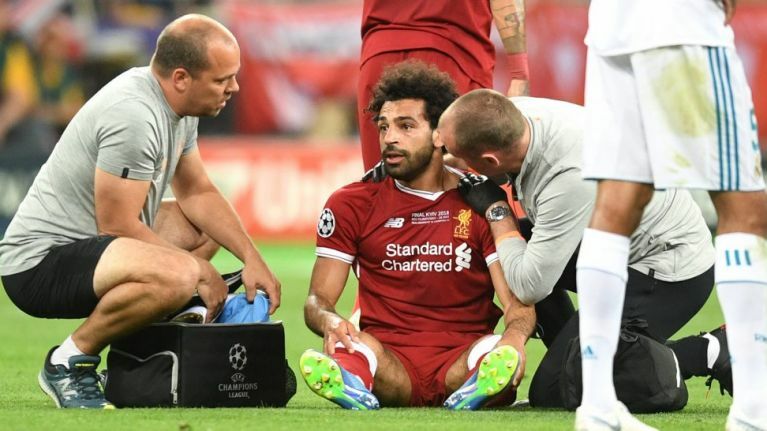 Mo Salah's 2018 World Cup could be in doubt after being substituted in the Champions League final. The Egyptian broke down in tears after brought down by Real captain Sergio Ramos in the 26th minute. He was then replaced by Adam Lallana. BBC Sport is now reporting he has a suspected dislocated shoulder. He will now face a race against time to be fit for this summer's World Cup in Russia. Salah has had an incredible season, scoring 44 for Liverpool in all competitions. He also scored 32 in the Premier League – the record for 38 game season. With form like that, all eyes were on him to see if he could recreate those performances for hi country in Russia. Let's hope he get's that chance.